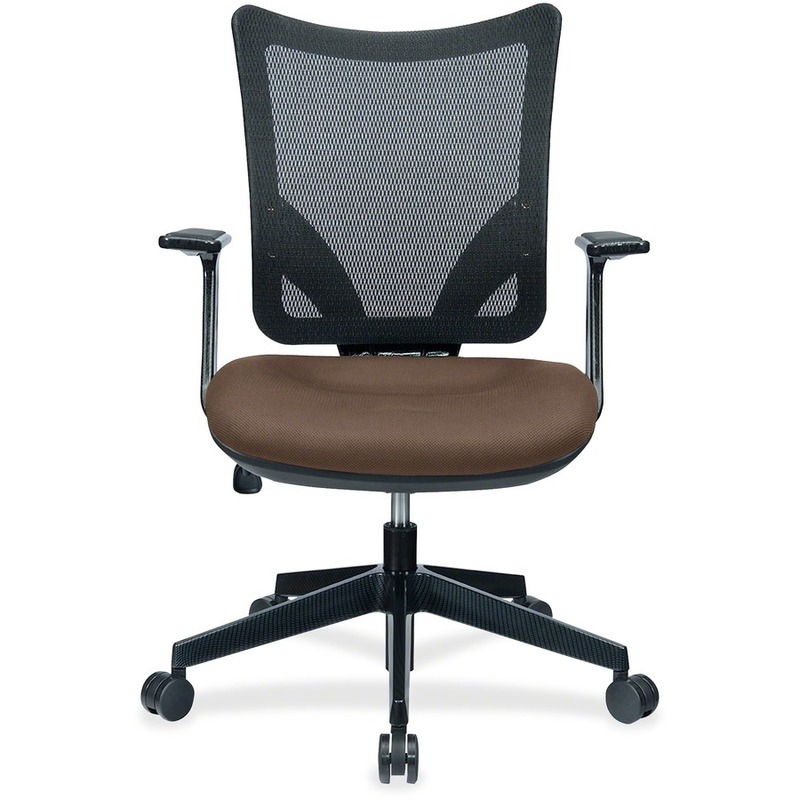 Task chair features a breathable mesh back and cushioned seat upholstered with fabric that has a carbon fiber patterned finish. With dual-action synchro tilt, the backrest and seat tilt in unison. 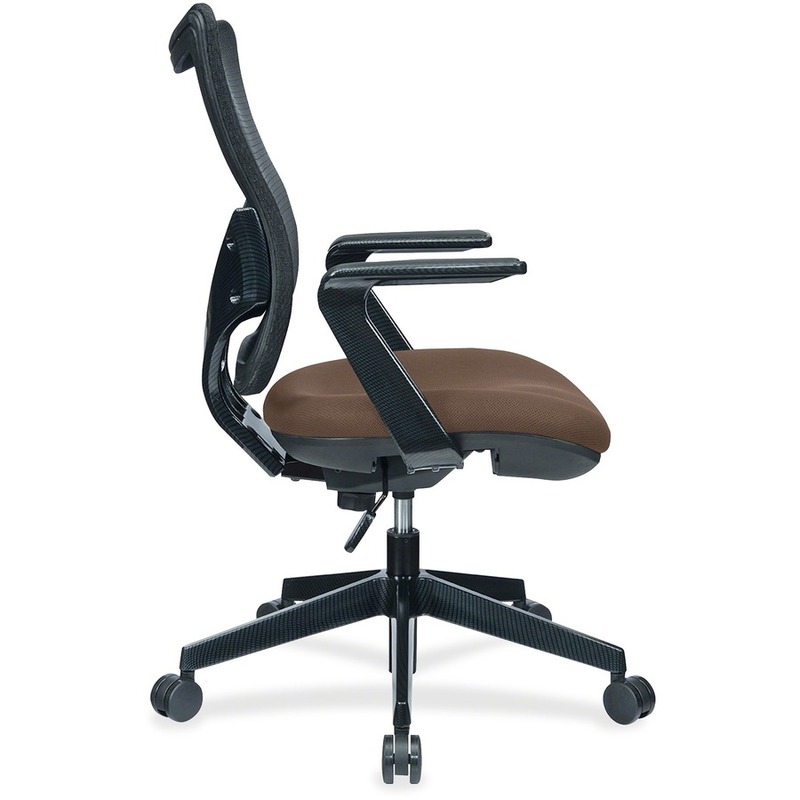 Back tilts more than seat and is tension-adjustable. 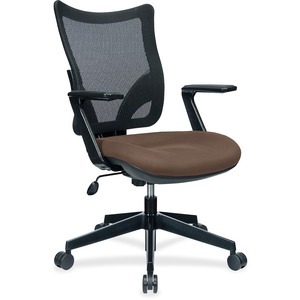 Other functions include pneumatic seat-height adjustment from 16-1/2" to 20", 360-degree swivel and tilt tension. The 25-4/5" diameter, five-star nylon base is equipped with 60mm casters. Weight capacity is 250 lb. 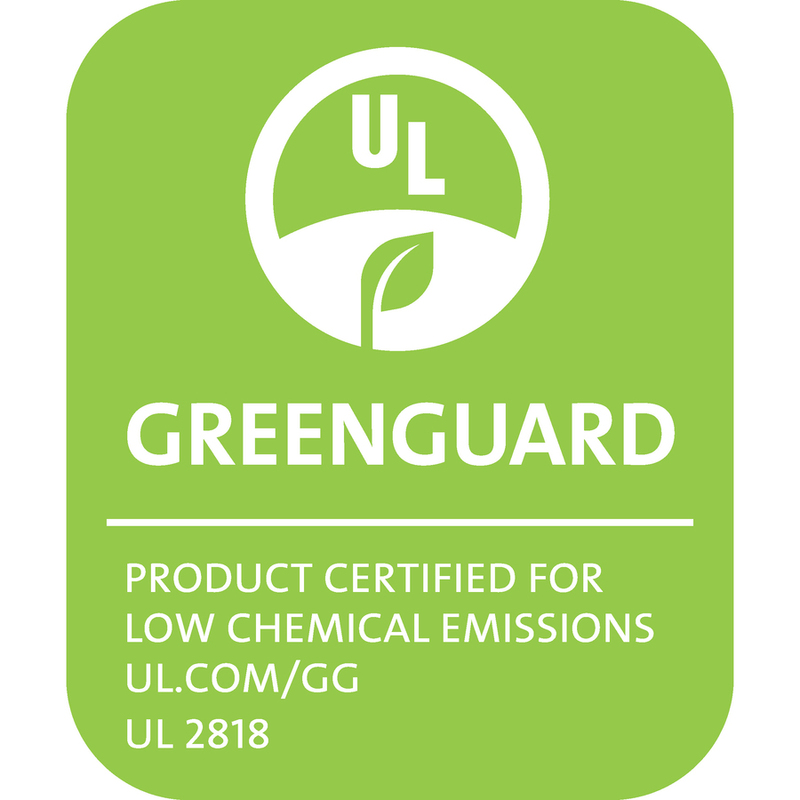 Fixed arms are made of glass fiber and polypropylene for durability. Seat measures 20-7/10" wide x 19-7/10" deep x 4-1/3" thick. Back size is 20-1/10" wide x 19-7/10" high.